Registered as a National Landmark, the Bonneville Salt Flats (BSF) in Utah is a geologic phenomenon of international significance. For motorsports enthusiasts world-wide, it is hallowed ground. From the first speed record attempts in 1914 and through the present day, hundreds of records have been set and broken in a variety of automotive and motorcycle classes. 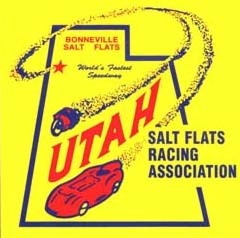 The Save the Salt Coalition (STS) was founded in 1989 by racers, businesses and community members. Its mission is to protect the Bonneville Salt Flats and to promote its history and motorsports legacy. To assist in this effort, the “Save the Salt Foundation” was formed as the nonprofit entity to collect money for the sole purpose of restoring the BSF. The STS Coalition has also partnered with the “Utah Alliance,” formed in 2014 to provide expertise and connections within Utah and Nevada. The collaboration allows experts within the groups to undertake specific roles and projects. 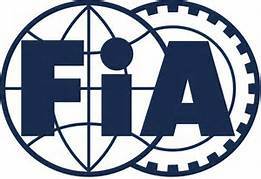 Major land speed race sanctioning organizations are members of both the Coalition and Alliance. Salt is now being pumped onto the salt flats every year and other forms of additional replenishment are being pursued. However, to ensure success, the racing performance industry and land speed enthusiasts must also join in the effort to return more salt to the BSF. Please consider making a tax-deductible contribution to “Save The Salt”, an IRS-recognized Section 501(c)(3) charitable organization. Your one-time, or monthly recurring, credit card contribution can be sent through PayPal HERE. Follow this link to download a form to complete and return, along with your financial contribution. Companies and organizations that support the restoration of the Bonneville Salt Flats can become a member by contact Stuart Gosswein at StuartG@sema.org. See below to view the current members of the Save The Salt Coalition. Clicking on the logo will open the member page in a new window. Let others know about the importance of saving this national treasure.